Elegant and beautiful and approx. 33' long! 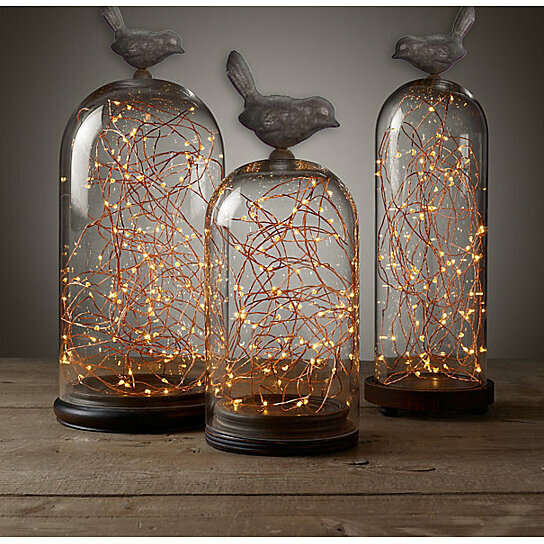 Wrapped around tree branches, wreaths ,trees or stuffed into a modern glass vase, these battery operated warm white micro LED lights, with their pliable copper wire strings are a perfect fit for even the most intricate of designs. Include 100 warm white, not bright white, LEDs and a switch to activate a 6-hour timer option for hassle free installations. You get 2! Judy M.Dec 29th, 2016:The lights are great...even though they are cool white not warm white as advertised...the copper wire is almost invisible and it is more than sufficient in length which makes it great for many uses. I would highly recommend this item.